It is also known serehd in Pohnpeia and native to the island of Pohnpei and the close-by Ahnd Atoll in Micronesia. The parrot species is 24 cm long and weighs around 80gms. Talking about the appearance, the plumage is mainly reddish-maroon and head slightly darker maroon. Both male and female have a different appearance and they can be distinguished on the basis of the colour of beak. The male has an orange beak, however, the female has a yellow beak and light grey irises. Its natural habitat is tropical moist lowland forests and plantations and diet composed of nectar and pollen from coconuts and also fruit and insect larvae.It is the state bird of Pohnpei, according to the Designation of State Bird Act and it will directly or indirectly bird from being hunted or killed and those individual who will not follow this will be punished or imprisoned. They are considered one of the most beautiful types of parrots because of their colour composition. They are mostly seen in Northern parts of Bolivia. Blue-throated macaw also known as a Caninde macaw or Wagler’s macaw. However, the species is critically endangered because of the pet trade. The blue-throated macaw is about 85 cm and weighs around 900gms. They love to eat fruits from large palms. As of now, only 350 to 400 species remain in the wild but the government needs to put trading prohibitions on pet trade for these parrots or else there will be those animals that could disappear forever. The species is on the verge of extinction in the wild and according to the IUCN Red List they are critically endangered. The same bird species has been protected by the national legislation of Bolivia and the Convention on International Trade in Endangered Species of Wild Fauna and Flora (CITES) since 1986. According to the recent surveys by Armonia Association and the Loro Parque Fundacion found additional birds, the population has been increased by the 350–400. Bronze-winged parrot comes in a category of medium size parrots with a size of 28 cm. They are native to forests and woodland in north-western South America. They are mostly seen in small teams of 10 birds. It is mostly dark in colour with a whitish chin patch and upper chest is decorated with pink feathers. The head looks little different because of the dark blue-green, however, the mantle, back and underparts are dark bronze-green with some blue-tipped feathers. The beak looks unique with pale yellow colour. The bronze-winged parrot nests in tree cavities. Also, they lay 3 to 4 eggs in a row. The species seen in small flocks mostly during the flight but also sometimes in the canopy or around fruiting trees. The bird species is common in forests and also in lowlands and foothills. The Australian King Parrot has seen in various parts of continent Australia right from Cooktown in Queensland through to Port Campbell in Victoria. They love to survive in humid and dense forests lies in the eastern portions of the continent. They love to eat seeds and fruits fallen on the ground or gathered from the tree directly. The parrot is approximately 43 cm in length including its long tail. Australian king parrots love to be in small groups along with various species of rosella. If you keep them as pet, they have a limited talking ability and normally prefer not to be handled, however, they easily make bond with people and that can be very devoted. The life expentancy of the parrot species is still unknown in the wild, however, some pets known to be lived upto 25 years. It is frequently seen in small groups along with various sppecies of rosella. Golden parakeet comes in a category of medium size parrots native to the Amazon basin of northern Brazil. Its plumage is mostly bright yellow coloured but it also possesses green remiges. The species is threatened by deforestation and flooding. It is 34 cm long with mostly green colour appearance, however, outer wings are green in colour. Both males and females have an identical external appearance. They are mostly seen in the Amazon basin and their numbers are limited to 174,000 km2. It is one of the most social parrot species who love feeding, sleeping and even breeding together. Golden parakeet loves eating mango, muruci and acai flowers, buds and seeds.According to the IUCN list, the bird species is vulnerable. The primary reason is deforestation and capture of these birds for aviculture where it is in hugh demand because of its beautiful plumage. These are considered as pests for feeding on crops, and are hunted for food or sport. Dusky Lory is native to Indonesia as well as Papua New Guinea. It is also known as White-rumped lory or the dusky-orange lory and mostly seen on the offshore islands of Batanta, Salawati and Yapen. It comes in short category parrots with 25 cm size. It is mainly brown and has a whitish back and rump. The beak of dusky lory is dark orange, however, there is an area of bare orange skin at the base of its lower mandible. Just like Golden parakeet, male and female have identical external experience. Apart from Indonesia and Papua New Guinea, they also found on nearby Indonesian islands of Salawati and Yemen. They love to breed in tropical and subtropical mangrove forest and subtropical and tropical wet lowland woodland. Eastern Rosella is mostly famous for its beautiful coloured tuft. One of the most intelligent parrot species that can be trained to speak a few words or phrases and can also whistle a large number of tunes. The eastern rosella is 30 cm long with red head and white cheeks. Both male and female species of Eastern Rosella looks identical. Its beak is white in colour, however, irises are brown. They are native to eastern rosella is eastern Australia, down to Tasmania. Its habitats include open forests, woodlands, gardens, bushlands and parks. They love to breed in spring, however, if necessary they can do it summer as well. They can lay 2 to 9 eggs simultaneously. The species usually breed in spring, however, if needed it will breed in summer as well. Like one time, they lay 2 to 9 eggs and in the wild. They built a hollow is 1m deep and 30m high up a tree and sign in the eastern rosella mostly shows that they would be breeding is that they give food to each other. It is sometimes kept as pets because of beautifully coloured plumage. The yellow-bibbed bird is one of the astonishing parrot species native to the southern Solomon Islands. It is 28 cm long and mostly red with a black on the top of the head and green wings. There is a yellow band on the upper chest and orange-red beak along with dark-grey eyerings, and orange irises. These parrot species can only be seen on the eastern Solomon Islands. Natural habitats include subtropical or tropical moist lowland forest and subtropical or tropical moist montane forest. They are one of the most talking birds in the world that can mimic a wide range of sounds including the human voice.The parrot species can make many sounds including human voice too or in other words they are ‘talking parrots’. Eclectus Parrot is native to the Solomon Islands, New Guinea, northeastern Australia and also the Maluku Islands (Moluccas). It is a short-tailed parrot around 35 cm long in length. The male species has a bright emerald green plumage, however, female have generally bright red and purple/blue plumage. The species have a large population and considered as pests for eating fruits off trees. The bright feathers of parrots are used by the native tribe people for decorations. Their diet includes fruits, flower, leaf buds and seeds. Natural habitats are rainforest trees. It is one of the most beautiful parrot species native to the island of South America Both male and female species are similar in appearance with golden yellow plumage and rest parts are orange flushed along with the face. One of the most social parrot’s species loves to be in flocks. Their diet includes flowers, fruits, blossoms, berries, nuts, seeds and insects. It weighs around 110 gms and around 30 cm long. They can love up to 30 years. They are also threatened primarily because of pet trade and loss of habitat. Blue And Green Parrot are native to grasslands, however, they are also located in open forests, seeds, eat yards and nectar. It is also known as blue-headed Pionus and comes in a category of medium size parrots. Blue and green parrots are 27 cm long and approximately all body is green with a blue head and neck. They are mostly seen in tropical and subtropical regions of South America and southern Central America. Also, they can be seen in some parts of Venezuela, Costa Rica and Trinidad south to Bolivia and Brazil. Its habitat included cultivated areas and forests and loves humid and semi-humid regions. At the time of breeding, it lays 3 to 5 eggs in a row. They love to eat fruit, seeds and sometimes grain. These are also popular as pets. Horned Parakeet is definitely unique in experience and native to New Caledonia. It comes in a category of medium-sized parrot and called as”horned” because it has two black feathers that extend from the head and have red tips. Adult parrot measures approximately 32 cm in length that includes the tail. It loves to love in rainforest and laurel forest and prefers humid pine forests on New Caledonia. They also like to be in groups and eat nuts and seeds. The bird population is on the decline since 1880 and it is believed that there are roughly 5000 of them are left. The black rat and wild cats are the main reason, however, human poaching is no the reason because it is really very difficult to find the nest and more importantly local customers are not interested to keep them as pets. The bird is one of its own kind and mostly seen in Indonesia and Papua New Guinea. It is also called out by the names Stella’s lorikeet and Mount-Goliath lorikeet. Natural habitat includes subtropical or tropical moist montane forests. It measures approximately 36 cm (14.1 in) to 42 cm (16.5 in) long and weights around 74gms (2.6 oz) to 113gms (3.9 oz). The upper body including underparts is red with blue in colour. Also, the black line on hindneck, a broad black band on the belly can be seen clearly. They are mostly seen on Montane forest at altitudes of 1600–2900 m.
This parrot species has perfect colour combination scattered along its body. It is mostly seen in eastern and southeastern Australia. With the size of 32 cm including the tail, it comes in the category of medium size parrot. Crimson rosellas are common in coastal and mountain forests at all altitudes and prefer older and wetter forests. They love to stay in groups, however, during breeding adult birds will only forage with their mate. According to a new study, Crimson Rosella can very easily identify their subspecies based on the smell of other birds. It is one of the most beautiful types of parrots in the world. Green-naped lorikeet naturally occurs in northern and eastern parts of Australia, however, they can also be seen in Indonesia, Papua New Guinea, Solomon Islands, New Zealand, and New Caledonia. The primary reason being open forests, woodlands and mangroves. These are one of the most social types of parrots species mostly seen in groups. The average size of the parrot is approximately 133 gms. The colour of the head is mostly a deep blue, however, the abdomen is green. The species can live up to 15 to 32 years. Talking about the diest, it consists of nectar and fruit. They also eat greens, buds, unripe grain, pollen and some seeds. The beautiful Red Lory is native to Indonesia. The size is about 31 cm long and weighs around 30 to 300 gms. Almost all the body is red in colour including plumage. However, red, blue and black marking can be seen around the wings and the tail is red-brown with blue under-tail coverts. The beak of red lory is orange and the legs are in red colour. Both male and female have a similar appearance. Their diet includes fruits, pollen, lories eat nectar and occasional insects. The black-headed parrot is also known as the black-headed caique, black-capped parrot or pallid parrot native to the Amazon river and also west of the Uyaculi River in Brazil, northern Bolivia, Colombia, Ecuador, French Guiana, Guyana, Peru, Suriname, and Venezuela. It is also one of the social types of parrots species that loves to be in pairs up to 10 individuals. Their diet includes flowers, pulp, and seeds and possibly insects. It can 23 cm long and weighs around 130 to 170 gms. Sometimes they move in Nomadic in French Guinea in search of food. It is also known as the indigo macaw and looks similar to Hyacinth Macaw and slightly smaller glaucous. The difference can be made by its darker plumage, lack of greenish tinge and a patch of yellow skin adjacent to the base of the bill. Lear’s Macaw is 70 75 CM in length weighs around 950 gms. Talking about the appearance, the body, tail and wings are dark blues in colour, however, the head looks slightly paler shade. It has a large, blackish beak and dark grey feet. The primary diet of Lear’s macaw is the licuri palm nuts. They also love eating Melanoxylon, Atropha pohliana, Dioclea, Spondias tuberosa, Zea mays, Schinopsis brasiliensis, and Agave flowers. It is also known as the blue-and-gold macaw and popular as a speaking bird. It is one of the most social and intelligent types of parrots species in the world. The species is most popular among people who do aviculture because of availability in the marketplace and bonding with humans. The birds can reach a length of 76–86 cm weighs around 0.900–1.5 kg. The beak of the parrot is black with blue-green wings and tail, dark blue chin, golden under parts. The forehead is green in colour. It can live up to 30 to 35 years in the wild and reaches maturity by 3 to 6 years. They are mostly seen in Bolivia, Brazil, Peru, Venezuela and Paraguay. Sometimes they are also seen in Central America, however, the range is limited to Panama. It is also known as the little corella native to Australia and southern New Guinea. The parrot species is 35–41 cm in length and weighs around 370–630 g. They usually feed on the ground, however occasionally feed in trees and shrubs. One of the different types of parrots species loves to eat cultivated seeds and regularly feed on lawn grasses in urban areas. They are very smart, curious, and mischevious.however, they differ by subspecies when it comes to behaviour. The Red-capped Parrot is a species native to southwest Western Australia. It is known for its distinctive long bill and green-yellow cheeks. The male and female can be distinguished because female are slightly duller than males. It is native to woodland and open savannah country and love eating seeds, particularly of eucalypts, flowers, berries and insects. The parrot species is 34–38 cm and weighs around 105–125 g. It comes in category os medium size types of parrots and the adult male has a crimson forehead and crown and same is with a female, however, it is little duller in colour. Violet-necked lory scientifically called as Eos Squamata belong to the family Psittaculidae. It is native to Indonesia and mostly seen in the northern Maluku Islands and west Papuan islands It natural habitats are tropical moist lowland forests and tropical mangrove forests. The parrot species is 27 cm long and have a strong resemblance to the female eclectus parrot except it has an orange-yellow beak. It loves to survive in exotic wet lowland woodlands as well as exotic mangrove forests. It is additionally known as Jandaya parakeet or jenday conure and native to wooded habitats in northeastern Brazil. It is considered to be subspecies of the sun parakeet with green wings and tail and reddish-orange body along with yellow head and neck and black bill. It is most popular among bird keeping people and known as “jenday conures”.The parrot species is 30 cm in length and weighs around 125–140 gm. They love to survive in lowland deciduous woodland and palm groves. It is also one of the intelligent types of parrots species and can learn a number of words and also expressions. Its diet includes mango and cashew apples as well as palm nuts. Black-capped Lorikeet is also known as western black-capped lory or the tricoloured lory and native to New Guinea and adjacent smaller islands. One of the most colourful species is 31 cm long. It exists in seven species and all with green wings and redheads. However, underwings are yellow in colour along with blue legs and belly. They love to survive in the primary forest and forest edges in most lowland areas up to 1000m but not monsoon forest or coconut plantations. It loves to be in groups usually 10 and more. Their diet includes pollen, nectar, flowers, fruit and insects. It is also popular as one of the amazing types of parrots in the world. Rosy-faced lovebirds additionally known as the rosy-collareTanimbar corellad or peach-faced lovebird is a parrot species native to arid regions in southwestern Africa such as the Namib Desert. It is also one of the most social species and love to be in groups in the wild. It is little fro other species because they eat frequently and take regular baths. It is popular as love birds because of their sleeping position in which they sleep side by side and turn their faces towards each other. The parrot species is 17–18 cm long with an average wing length of 106 mm and a tail length of 44–52 mm. The diet mainly consists of seeds and berries. Also, they gather in flocks when food is plenty enough. Western Rosella is also known as the Stanley rosella or Yellow-cheeked parakeet. It is the smallest parrot species of rosells and native to south-western Australia. They love to survive in Eucalypt forests and timbered areas. The parrot species is 25–30 cm in length and weighs around 28 to 80 g. They are mostly red from head to the breast with green paterned wings and beige yellow cheeks, however, males are slightly larger than females and have a more beautiful yellow cheek colouring. They have a grey horn like most of the Australian parrot species. They love to be in groups usually 20 or more and their diet includes grass and seeds. They are popular as a pet for a bond with humans. The beautiful coloured Yellow-backed lorikeet likewise known as Chattering Lory native to North Maluku, Indonesia. It is one of the critically endangered parrot species because of trapping for the cage bird trade. The parrot species is 30 cm long and its appearance is mostly red with an all red and an orange beak. The wings of the species are mostly green, however, the angle of the wing is yellow. The parrot species is 30 cm long including tail. They are one of the smartest parrot species and can produce a shrill, whistle-like call. Black-winged Lorikeet also known as Biak red lory is a medium-sized parrot native to Indonesia and distributed to forests as well as coastal environment of Biak, Numfor, Manim and also Mios Num islands in Cenderawasih Bay, Papua. The parrot species is 30 cm long including tail and have bright red plumage with black shoulder and orange-red bill. Both male and female are similar in appearance. It is also one of the critically endangered parrot species because of habitat loss. The budgerigar is also known as Shell Parakeet, Budgie, or Typical Animal Parakeet of Australia is available in a variety of colour. It is one of the types of parrots that are the most popular pets around the world due to their small size, low cost and ability to mimic human speech. The parrot species has been discovered in 1805 and now it is one of the most popular pets in the world after dog and cat. They are naturally green and yellow in colour with black, scalloped markings on the nape, back and wings. They love to survive in scrublands, open woodlands, and grasslands of Australia and usually seen in small flocks, however, they can form large flocks depending on the favourable condition. Their diet includes seeds of spinifex, grass seeds, and sometimes ripening wheat. Red-collared Lorikeet is a parrot species native to wooded habitats in northern Australia mostly seen in north-eastern Western Australia, northern Northern Territory and far north-western Queensland. It has comparable practices to its relative, the Rainbow Lorikeet. Initially, it was considered as a subspecies of rainbow lorikeet but today major authorities considered as a separate species. The parrot species is 26 cm in length and weighs around 103 to 104 gms. Major Mitchell’s cockatoo additionally known as Leadbeater’s cockatoo or pink cockatoo native to arid and semi-arid inland areas of Australia. It is one of the most beautiful types of parrots among its subspecies. Both male and female are identical, however, males are slightly bigger. They love to survive in woodlands, particularly favouring Callitris, Allocasuarina and Eucalyptus. 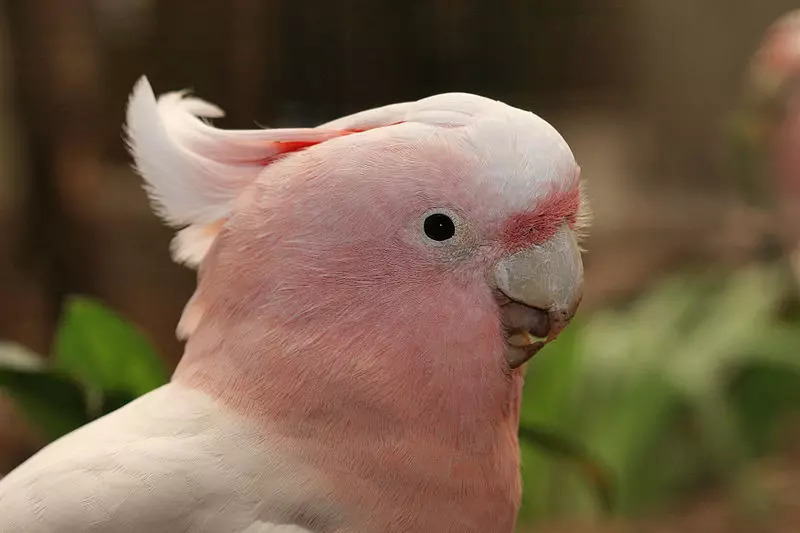 They are also a type of cockatoo. These are 30 plus different types of parrots. Do post your comments.